For a long time, I only wore lipstick on special occasions, because I just didn’t have the time to be reapplying all day. I want to put my lipstick on and have it stay on, you know? I don’t think that’s too unreasonable to ask. There are long-wearing lipstick formulas, and liquid lipsticks that dry down on your lips, but too often they’re fussy and uncomfortable to wear. And if you’ve already got lipsticks that you like in your collection but just don’t last the distance, it’s an expensive exercise to go out and replace them all. Luckily there are a few techniques I’ve found to solve the problem of how to keep lipstick on all day. 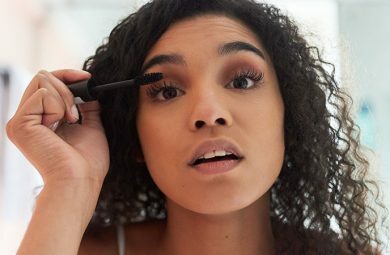 Try any, or all, of these tips and pulling out your compact mirror or rushing to the bathroom to reapply your lipstick will be a thing of the past. Exfoliating isn’t just for your skin. Exfoliating your lips before you even think about applying lipstick can make a huge difference. It’s all about having the perfect blank canvas, right? If your lips are dry or peeling, that lipstick is just not going to look good on top. Lush make a range of lip scrubs that are as tasty as the are effective, and starting your beauty routine with a scrub that smells and tastes like chocolate is pretty enviable. That being said, you don’t need to spend money on a scrub when their primary ingredients are sugar and an oil—you’ve got those in your kitchen! A quick scrub across the lips and then a wipe with a tissue is all you need. I know, we haven’t even got to the lipstick part yet, but I can’t emphasise enough how much the preparation makes a difference. Apply a thick lip balm immediately after scrubbing, and keep it on while you do the rest of your makeup. This gives it time to soak in and really hydrate the lips, conditioning them to be soft, supple and flexible and a base ready for lipstick. If you don’t have a lip liner, you need to get one, stat. Using a lip pencil beneath your lipstick is the number one piece of advice I can give when it comes to making your lipstick last all day. You don’t need an entire rainbow of lip liners, either. Pick a colour close to your natural lip colour, and you can use that underneath lipsticks of all shades. Red and darker lip colours will benefit from a matching lip pencil, however. Outline your lips with the pencil, making sure to follow the natural lip line (unless you want to make your lips look bigger, a trend made popular by a certain teenager lately). Don’t stop here, though; colour in your entire lip with the pencil, too. Lip pencils are usually made with a stiffer formula than lipstick, meaning they grip to the lips better and last longer. 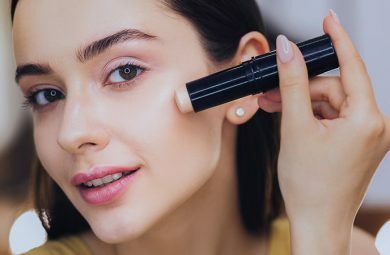 Using them as a priming base for lipstick will help it stop from wearing off, and stop your lips from looking patchy, even if the lipstick does wear slightly. I’ll forgive you if you can’t get on board with this tip, especially if you’re a no-fuss type of woman. The benefits of applying your lipstick with a brush can’t be overstated, however. You can really work the product into your lips and get an even, all-over application with a brush. A lip brush will allow you to build up more product than you would get applying straight from the bullet, and it won’t push your lip liner around underneath. Many lip brushes are also retractable, meaning you can toss them in your purse and take them with you without getting lipstick everywhere! This technique is especially important if you’re wanting to get long, even wear out of a dark lipstick. 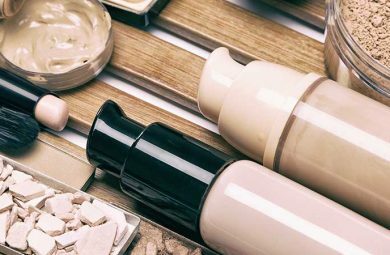 Instead of slicking on one coat and calling it a day, you can build the product up to get thorough, even coverage that lasts all day. After you’ve applied your first layer of lipstick, press a clean tissue between your lips to blot off the excess. Then take a loose face powder (preferably translucent) and dust that lightly over the lips. Dust off any excess and then apply another layer of lipstick (this works best if you’re using a lip brush). You can rinse and repeat for as many times as you need to get even coverage from your lip colour, but usually only twice is necessary. 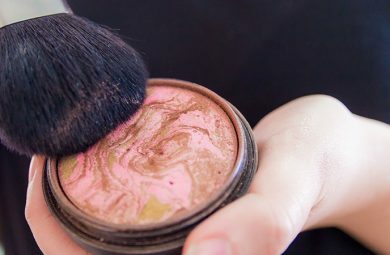 Finishing this process with a coat of powder will give you a matte look, but if you do want a glossy finish, you can follow up a lipstick coat with a tiny dab of gloss and it won’t affect the longevity of your lipstick. No, I’m not giving you diet tips! Eating and drinking can seriously disturb your lipstick, and what you choose to eat makes a huge difference. Oily food will start breaking down your lipstick the second it touches your lips, just like an oil makeup remover. This could be something like fries, or even a salad with an oil-based salad dressing. 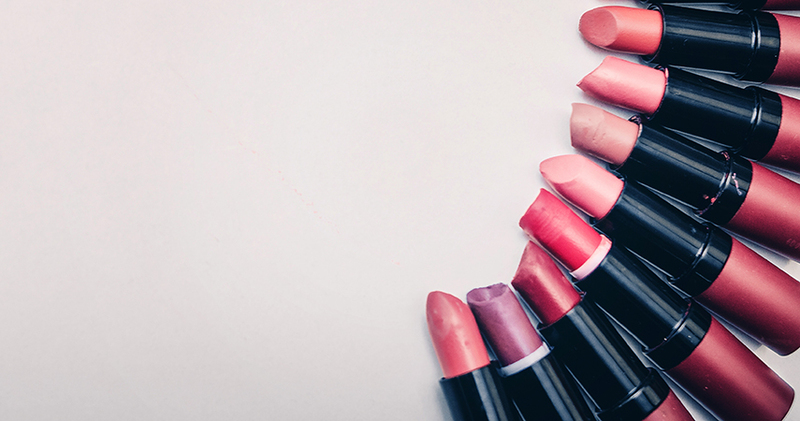 Avoiding foods with oil will help your lipstick stay in place all day.